Quality stamping depends upon using the right tools, and the right approach, for the job, particularly when working with today’s new high-strength materials. LTC’s advanced materials and tooling expertise enables us to deliver stamping services that result in consistent, strong, high-quality parts for a multitude of automotive applications. We’re well seasoned in successfully executing complex shapes, even when using sensitive high-strength materials. 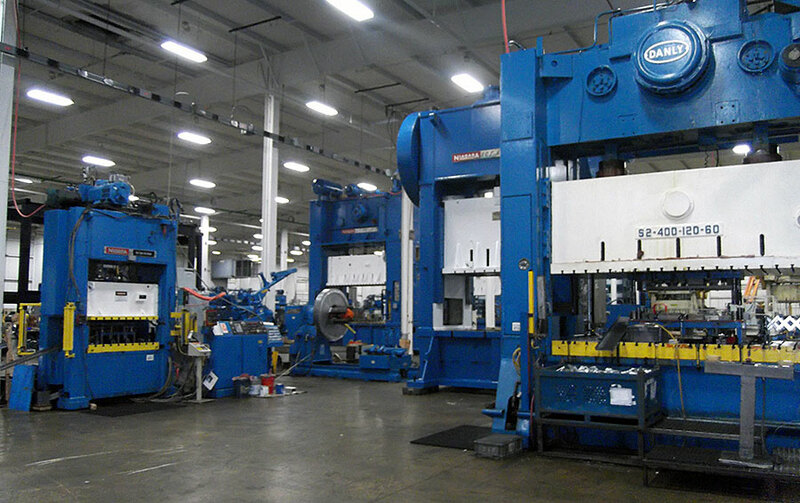 Our extensive range of tooling and equipment enables us to select the right tooling and press for each task, optimizing outcomes and containing costs. LTC can provide stamping services to manufacture stamp and ship parts or to supplement roll form processes in more complex assemblies. We can also provide assembly services to combine multiple stamped parts, and apply other secondary processes as desired such as the addition of nuts or studs.